If I had a nickel for every time I’ve had the term “funnel” used in the discussion, I would be a rich man. 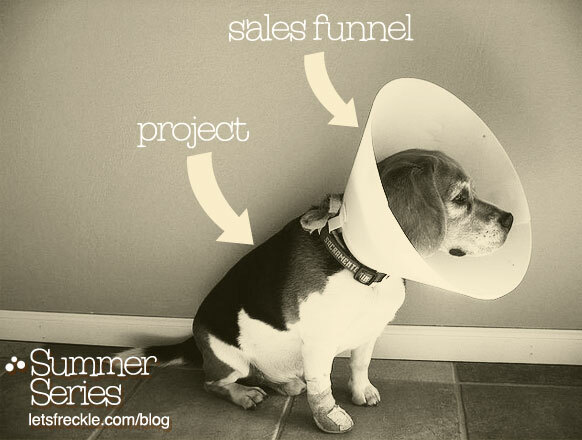 Yes, there is a natural funnel associated with the business development process. Unfortunately, the funnel is an often misused tool. Many managers talk about the “numbers game.” They would like to think that, if one stuffs enough opportunities into the top of the funnel, some good ones will drop out the bottom of the funnel. They play the numbers and refer to impressions, contacts, leads, and touch points. The concept is that the more people you talk to and the more presentations you make, the larger the number of contracts. This approach works well for companies who are selling commodities in which you have a lot of customers and a lot of competitors. Commodities are sold using standard pitches and prepackaged collateral. Identification: There are many sources for identifying opportunities. I highly recommend that every company track identified opportunities and decisions made to avoid revisiting these opportunities in the future. I have countless tales about companies evaluating an opportunity and casting it aside, then resurfacing it when someone new comes across the opportunity. Not only does this waste time, but the lessons learned from the previous investigation are often lost. Qualification: An opportunity becomes qualified when it meets the three criteria listed below. I will discuss more about the qualification process in a later blog. — The scope of an opportunity is within the capability of the company to pursue as a prime contractor or as a subcontractor to one or more identified prime contractors. — The opportunity is real in terms of being funded by the client, having identified acquisition strategy, and being winnable by the company. — The management of the company is willing to invest additional resources to pursue the opportunity and a “champion” has been assigned to work with the business development team. Pursuit: An opportunity moves from “qualified” to “pursuit” when the team has uncovered sufficient information to convince management that is should aggressively pursue the opportunity. This means allocation a capture/proposal team, reaching out to partners, defining your solution, and preparing for the proposal. Bid: The decision to bid may occur prior to release of solicitation documents, but must be revisited when the solicitation is released, as conditions may change. Additional bid decisions may occur when circumstances mandate, such as answers to questions that drastically change the nature of the bid or discovery on new competitive information. Submitted: Once a proposal is submitted, follow up actions may be necessary. These include gathering intelligence on the competition, collecting rumors from inside the customer, and evaluating your submission to learn more about the status of the award. Many Contracting Officers will hold discussions with bidders who are in the “competitive range” to allow them to fix minor items and improve their pricing. Awarded: Whether awarded to you or another company, you should seek a debrief. Debriefs are your opportunity to learn from the customer what they liked or did not like in your proposal. This information needs to then be fed back into the organization so that you can improve future proposals. I highly suggest a simple automated system to track opportunities. Note that I said “simple”. Your opportunity tracking system does not need to capture every detail of the opportunity, just that information that is necessary for management to understand the opportunity and resources that may be required. Comment below to let me know what you think about the funnel and how you manage your opportunities. Posted on September 29, 2011, in General Topics, Identification and Qualification, Strategic Planning and tagged business development, Federal Government, funnel, Strategic Planning. Bookmark the permalink. 1 Comment.